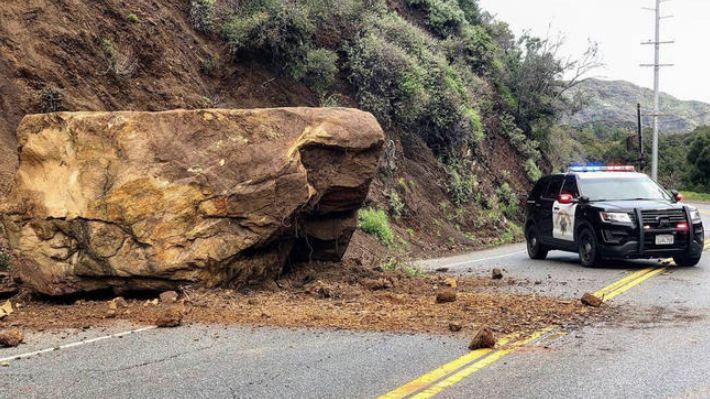 On March 3, a huge boulder fell from the side of a steep cliff and onto Malibu Canyon Road in Las Angeles County. The size of the rock caused the road to be closed for all traffic while it was removed on Sunday afternoon. This occurrence is just one of many instances that resulted in road closures in this area due to natural disasters, including the recent severe storms and the Woolsey Fire. Thankfully, no one was injured in this instance, but this type of occurrence raises a few interesting legal questions. Who Would Be Legally Responsible in a Boulder Fall? Although it may not seem like it at first blush, a boulder falling onto the road and causing a car accident could actually have legal implications. Generally, the fact that the rock fell could likely only be the responsibility of anyone who is charged with maintaining the land in the area. That could include Los Angeles County authorities, but it could also include private property owners as well. However, legal liability will generally only result if one of these potentially responsible parties was actually at fault for the rock fall. That is, if the property was poorly maintained or the party involved knew that the boulder was going to fall because it was loose or otherwise unsafe, then they may be responsible. On the other hand, if the boulder falling was truly an “act of God,” or some random, natural occurrence, then no one may to blame. In those situations, your personal auto insurance would likely be the entity to turn to for help with your medical expenses and damages to your vehicle. As a driver, you have a responsibility to act reasonably while behind the wheel. That means that you should not do things like text and drive, operate your vehicle drunk, or drive over the speed limit. You need to be able to react appropriately to emergency situations if they arise suddenly—including falling rocks. Imagine that someone is texting while driving when this large boulder fell down the hill. They may not see the stone fast enough to avoid hitting it, or they swerve into oncoming traffic to avoid it because they are reacting too slowly to stop in time. When their failure to respond (or overaction, as the case may be), causes a traffic accident, they are likely still liable even though they had nothing to do with creating the emergency situation in the first place. Legal responsibility in car accidents is always focused on what a reasonable person would have done in a similar situation—and a reasonable person would not have been texting while driving at all. These cases are very fact-intensive. If you were injured due to another person’s negligence, it’s a good idea to talk a personal injury lawyer to determine whether you have legal options. Manibog Law offers free consultations for potential clients for this purpose—let us help you determine if you have a claim and suggest some next steps for you. Call today to schedule your free consultation: 1-800-MANIBOG.